The Versailles chateau and gardens, a symbol of French state power and one of Europe’s top tourist attractions, is closed on Saturday .Jean-Jacques Brot, prefect of the Yvelines region, told reporters the demonstration would be confined to the city’s central avenue, well away from the palace and shopping areas. According to a prefecture official quoted by daily Ouest France, about 1,400 people have said they would take part in the march following a call to demonstrate in Versailles by one of the yellow vest leaders on Thursday. 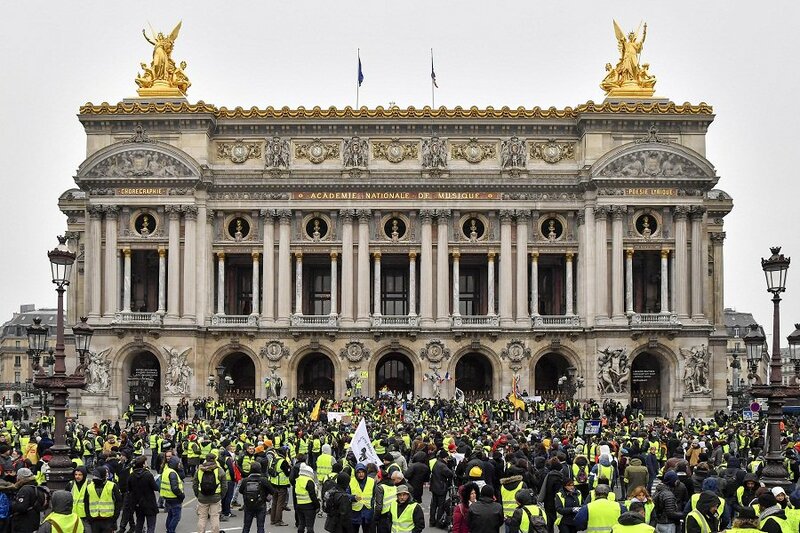 “We are ready in case the protest focuses on Versailles, but it could also be elsewhere,” Interior Minister Christophe Castaner said on Thursday. Yellow vest leaders have called for new demonstrations on Saturday and encouraged their supporters to block trucks at the borders in a sixth weekend of nationwide protests, which have led to rioting and looting in Paris and other big French cities. Nine people have died in the protests, mostly in traffic accidents at yellow vest roadblocks. Retailers, restaurants and hotels have lost millions of revenue in the weekends leading up to Christmas as they were forced to closed their doors for fear of looting and violence. But the movement – named after the fluorescent vests motorists are required to have in their cars – has gradually lost steam in recent weeks, with just 66,000 people taking part in protests nationwide last Saturday compared to nearly 300,000 on Nov. 17., according to interior ministry data. President Emmanuel Macron has announced a raft of measures costing the state budget some 10 billion euros ($11.4 billion) to appease the yellow vests, boosting the minimum wage and easing tax increases on pensioners. Macron has also promised to organize a broad nationwide debate about taxation in the coming three months.